He seems to come in for some flack on here at times but in my eyes as our best captain, one of our best ever players and still our record appearance holder he has earned the right to say what he bloody well likes!! Can I yet again please say that he is our best ever RB, our best ever LB and our best ever Captain? Thank you for all that you did for ITFC Sir Michael. Oh, and happy birthday although mine was two days ago and you did not acknowledge mine. oh sos I missed it!! I meant Mick Mills did not acknowledge it but thanks anyway. 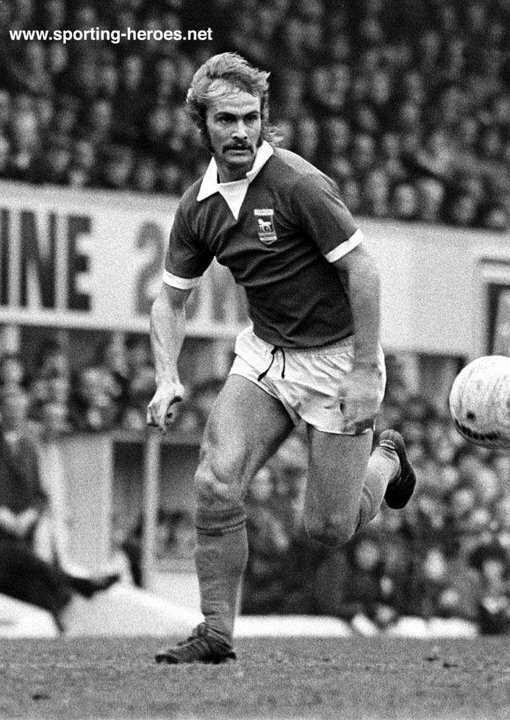 Best ever player for Ipswich and making him captain at a relatively young age was a Robson masterstroke! A fantastic memory of him scoring the 2nd at Highbury (78 FA cup) will remain with me to my grave. Nobody acknowledging that today is also Richard 'Log' Logan's birthday. Him and his three games for Town. You need to call out MM on facepage for missing your birthday, which you share with Cuba Gooding Jnr. Thoroughly nice chap when I met him. I was a kid with loads of raffle tickets for ITFC stuff he was drawing, winning precisely zero. He told me to give name & address to Mel Henderson and I received loads of goodies a few days later. Yes I can be bought! Anyway here's to The Captain... cheers! Totally agreed. Happy birthday Mick! I saw you in 1966 when you were the artist formally known as Mike Mills. Still got the programme. Same surname & birthday as you too. Happy belated birthday. Mick Mills, one of a few former Town players i would truly call Legend. fabulous player and now fabulous counter-of-players-in-box-scenes!